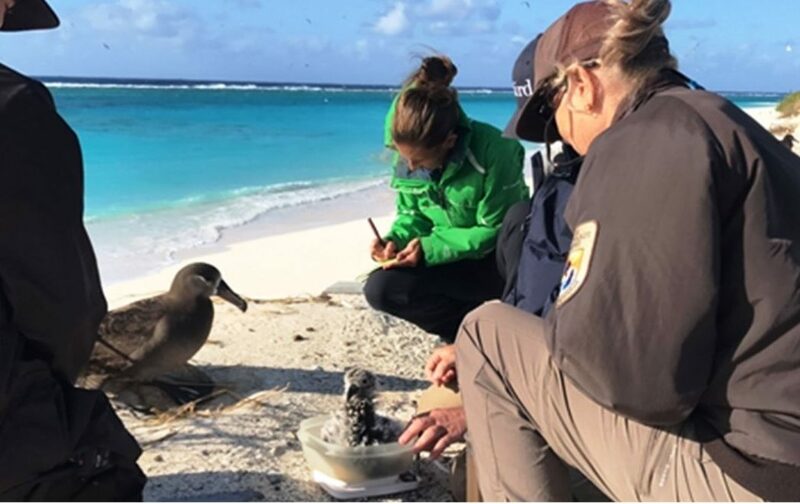 Through its Climate Adaptation Fund, the Wildlife Conservation Society (WCS) is soliciting proposals from nonprofit conservation organizations implementing new methods that help wildlife adapt to the rapidly-shifting environmental conditions brought about by climate change. The recent special report from the United Nations’ Intergovernmental Panel on Climate Change (IPCC) stated that if greenhouse gas emissions continue at their current rate, the earth’s atmosphere could warm by 2.7 degrees Fahrenheit between 2030 and 2052. The implications of this temperature rise include devastating impacts, such as climate change-driven coastal floods, drought, wildfires, food shortages, and disruptions to human populations and economies. In addition to the growing demand to dramatically reduce greenhouse emissions, the need for targeted efforts to help people, ecosystems, and species adapt to climate change has never been more imperative. Building on WCS’s 120-year history in long-term conservation efforts, the WCS Climate Adaptation Fund will award up to $2.5 million in grants in 2019. “The Fund supports projects that increase the capacity of wildlife and ecosystems to adapt to the effects of a changing climate, instead of conserving or restoring historic conditions that may no longer be possible in an altered climate,” said Molly Cross, Director of Climate Change Adaptation for the WCS Americas Program and Director of Science for the Climate Adaptation Fund. “To be considered, applicants must incorporate the best-available climate science into their proposed conservation work. Also, while our primary concern is wildlife conservation, our focus is less on individual species and more on the functionality of entire ecosystems. Successfully funded projects will have an impact on a broader scale and restore landscapes that support a variety of species,” she added. Additionally, the Climate Adaptation Fund encourages funded projects to use strategic communications to amplify the conservation impact of their results. Outcomes of such communications could include raising more funds for similar work, generating attention and momentum around project goals, expanding the on-the-ground conservation impact by encouraging adoption by other practitioners, winning the support of key agencies, authorities, or constituencies, or catalyzing supportive regulatory or policy change. While the projects supported by the Climate Adaptation Fund are designed foremost to achieve adaptation outcomes for wildlife and ecosystems, the Fund is also interested in projects that provide co-benefits. These “co-benefits” to adaptation could include the mitigation of greenhouse gases, such as carbon dioxide, or outcomes that directly affect people by positively impacting human health and welfare, safety, or livelihoods. WCS in particular encourages joint mitigation and adaptation (JMA) projects as an important pathway to help wildlife and ecosystems adapt to climate change while simultaneously providing emissions reductions through methods like carbon sequestration. Create a network of fifty climate-resilient pollinator meadows using vacant lots in the Mantua and Strawberry Mansion neighborhoods of Philadelphia (National Wildlife Federation). Applicants must complete a pre-proposal application using the WCS Climate Adaptation Fund’s online form no later than 5 p.m. EST on Friday, April 5, 2019. Read the RFP and Applicant Guidance Document, and find application form here. See the WCS Climate Adaptation Fund website. See the Doris Duke Charitable Foundation website.